THE ROAD TO KHALISTAN: KHALSA AID NEEDS YOUR SUPPORT NOW!! KHALSA AID NEEDS YOUR SUPPORT NOW!! I have just received word that Khalsa Aid is starting a programme to get food to the drought-stricken Horn of Africa where 10,000,000 people are threatened with starvation! Once in a while, an organisation is found that is worthy of our total support. Such an organisation is Khalsa Aid. The whole Panth can be very proud of Khalsa Aid. Their main project is aiding the poor Sikhs of Punjab, especially the families of our honoured shaheeds and of those Sikhs in jail or person for only-the-police-know-what reasons. They are engaging the children of rural Punjab in their PURE (Punjab Rural Underprivileged Empowerment) Programme that aims at educating children in both secular subjects and Gurbani while engaging the whole family in the hope of curbing drug and alcohol abuse among Sikhs there. I URGE ALL MY READERS TO HELP KHALSA AID IN EVERY WAY YOU CAN. Volunteer. Donate your daswandh. Say ardas. Every Sikh can do something. 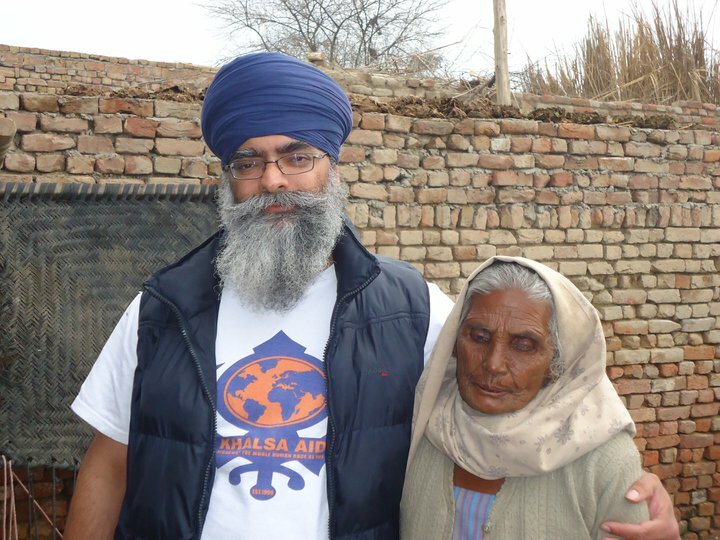 Khalsa Aid helps poor Sikhs in Punjab, and that is not all they do, either. They are visible Sikhs doing worldwide sewa for other groups needing our help. Volunteers went to Haiti to help those devastated by the earthquake there; they still maintain a long-term presence there, providing food and clean water to the still-desperate Haitians. I am very proud that my friend Harpreet Singh Mann of Toronto is among those who have volunteered in Haiti. As noted at the top, I have just gotten word minutes ago as I write of a major project being launched in the Horn of Africa to feed the people of that drought-stricken region. Currently, Khalsa Aid is working at the Libyan border providing clean drinking water for the refugees streaming ocross the desert fleeing the fighting in that country. Please take a look at their website at Khalsa Aid and if you are able, make a donation. Every little bit helps. And If you want the experience of a lifetime, volunteer. Here is their latest newsletter. Khalsa Aid has been inundated with urgent requests for support. Although we have a fulltime employee in Punjab, who coordinates the allocation of support for Shaheed Parivaars, we regularly send volunteers to oversee and support the projects. Although the state sponsored massacres (Operation Woodrose) during the 1980s to 1990s in Punjab were turbulent and horrific, we cannot and should not forget those who are still suffering from the consequences. Following a needs and means assessment, Khalsa Aid is providing monthly support to these affected families, who are more commonly known as Shaheed Parivaars. To control your tears while Mata ji and Pita Ji and their families relive the events of 1984 and tell us about their Shaheed Singhs is indescribable..These Mothers are the Jewels of our Panth, they sacrificed so much for the Panth, but why don’t we care about them? Khalsa Aid is eternally grateful to the Sangat, as through the support of the Sangat we were able to provide Rs. 3 Lakh to Major Dalbir Singh, Dharmi Fauji. We had earlier shown to the Sangat what the conditions this family was living in, their house was decrepit and dilapidated and did not provide even shelter from the elements. Now he and his family can finally live in a house with full shelter. 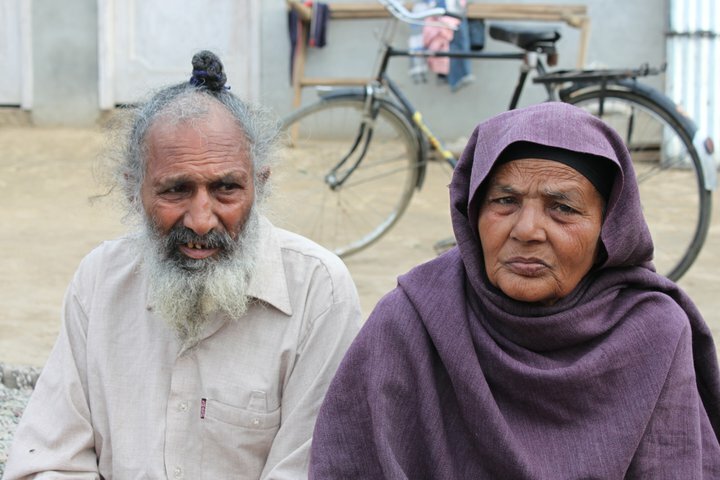 Karam and Kiratraj were shocked after visiting Shaheed Satnaam Singh Cheena family and seeing with their own eyes the level of poverty his widow and son were living in. Monetary support was provided, including the start of monthly welfare support and unlimited support for his son education. If any member of the Sangat wishes to see our projects, or meet a sponsored family in Punjab, we are happy to provide transport and facilitate the visit. Please continue to support Khalsa Aid, so we can continue to do Seva and increase the global awareness of Sikhs. Khalsa Aid is the first cross border humanitarian organisation based on the Sikh principles of Sarbat Da Bhalla and Vand Kay Chakna. Khalsa Aid is dependent on the generosity of the Sangat to carry out such vital Seva. We are extremely grateful to the Sangat for supporting our global aid projects over the past 12 years since our launch. To donate monthly or to make a one off donation, please click on the following link:http://www.justgiving.com/khalsaaid or please visit www.khalsaaid.org for more information about the work we continue to do. To receive updates on our projects as well as volunteering opportunities. Thanks Bhainji, you inspired me to blog about the Horn of Africa Famine too. I've heard so little about it. The seva of our various Sikh Aid agencies is really WAH ONE derful! Bhenji Sukhmandir Kaur, it's always a pleasure to hear from you. I have just fallen in love with Khalsa Aid, I read so much that is negative about us and KA is thr perfect foil for this. My Christian friend is very puzzled by the whole concept of sewa, in general. "But surely, they distribute tracts about your religion with the food. Isn't that the purpose, to teach them about Sikhism?" SEWA: Service With No Ulterior Motive"